On August 7, 1755, George Caries, the first Moravian missionary to Jamaica, visited the maroon town of Accompong. 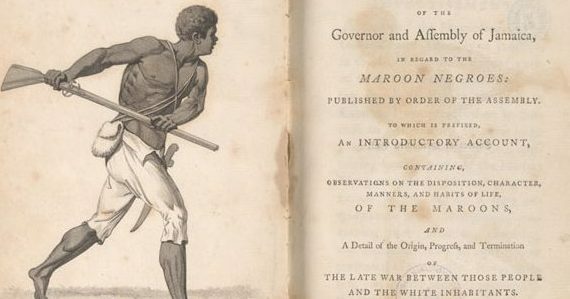 The Jamaican maroons, mostly escaped slaves who had built a series of towns and their own form of government in the interior of the island, had won political recognition from the British government in 1739. While most scholarship on the Jamaica maroons has emphasized the maroons’ savvy negotiations with the British government and their rejection of enslavement, my research examines how maroon leaders like Accompong cultivated complex relationships with Christian missionaries.